Samuel Pepys (1633-1703) is known as the first published diarist. His eleven-volume work, written between 1660 and 1669, was first published in 1825. Ever since, this chronicler of his time has held readers' fascination. The essential anthology of selections from Samuel Pepys's famous diary is finally available in paperback. By collecting passages by subject, it provides a fresh look at some of the themes running through Pepys's massive work. Robert and Linnet Latham's lively presentation shows Pepys the man of fashion, the booklover, the musician and theatergoer as well as Pepys the husband and Pepys the public servant. Through descriptions of the everyday and of historic events like the Fire and the Plague, Pepys's life and times are revealed in all their richness and variety. 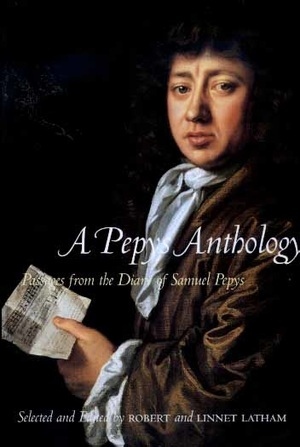 For fans of the Diary, this work offers the opportunity to rediscover favorite passages; for anyone unfamiliar with Pepys, this anthology serves as a delightful introduction. Robert Latham was Pepys Librarian at Magdalene College, Cambridge. He was the editor of the definitive eleven-volume edition of The Diary of Samuel Pepys as well as the acclaimed Shorter Pepys, both of which are published by University of California Press. Linnet Latham worked on the Diary, and its various shorter forms.